These are not instant noodles. 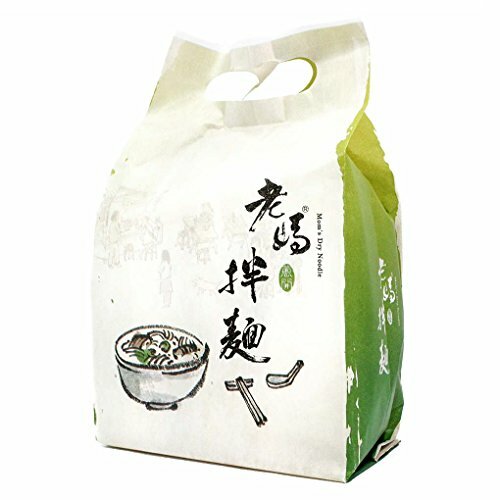 These are delicious specialty noodles from Taiwan that are cooked and prepared in about 5 minutes. Mom's Dry Noodle is one of the highest quality brands in Taiwan. Place the noodles in a pot of boiling water for about 4 to 5 minutes until cooked. Drain the noodles from the pot and add the seasonings included in the pack. Mix well and only add the amount of seasoning that suits your taste. An authentic, gourmet noodle dish is ready for your enjoyment! Oh and, feel free to add fresh scallion, cucumber or pepper paste for that extra flavor! There are 4 individually packaged servings of noodles in each pack. Facts 4.7 oz x 4 packs. Product of Taiwan. Ingredients Noodle: Wheat flour, salt, water. Onion oil: Vegetable oil, green onion, shrimp, sugar. Soy Sauce: Water, soybeans, wheat, salt, high fructose corn syrup, alcohol, seasoning. Seasoning powder: Dry green onion, sodium glutamate. If you have any questions about this product by Lao Mom Noodle, contact us by completing and submitting the form below. If you are looking for a specif part number, please include it with your message.